Contact Mr. Heard through our Contact Us form. John R. Heard received his B.A. with honors from the University of Texas in 1971, and graduated from the University of Texas at Austin Law School with honors in 1975. In Law School, Mr. Heard was on the Law Review, and also served as a Teaching Quizmaster. After serving as law clerk for a United States District Court Judge, he began his own law practice in San Antonio in 1976. Mr. Heard is a frequent lecturer at legal seminars addressing social security issues. He has successfully represented Social Security claimants for over 30 years. Mr. Heard is the Past President of the National Organization of Social Security Claimants’ Representatives and is Board Certified in Civil Trial Law by the Texas Board of Legal Specialization. He is licensed to practice in Texas Courts, the Federal Courts of the Eastern, Western and Southern Districts of Texas, the United States Court of Appeals for the Fifth Circuit, and the United States Court of Veterans Appeals. He was admitted to practice in the Supreme Court of the United States in 2001. He is a maintaining member of the College of the State Bar of Texas, and is a Fellow of the Texas Bar Foundation. 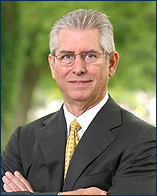 John R Heard is Board Certified in Civil Trial Law by the Texas Board of Legal Specialization.